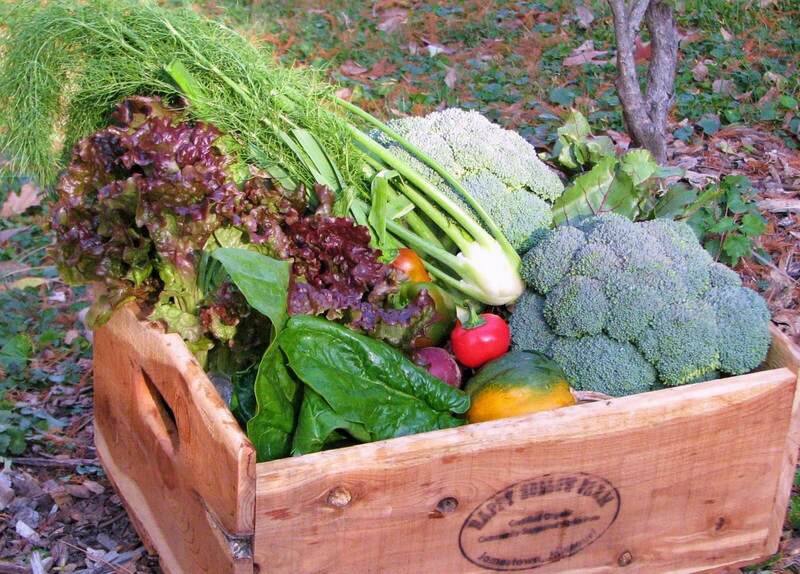 Imagine coming home with a big box of seasonal produce every week. This week, your box contains oranges, strawberries, apriums, avocados, carrots, onions, mixed salad greens, mint, kale, spinach, broccoli greens, radishes, and beets, plus two new recipes to try. The 100% organic food was picked yesterday, and the whole box cost you less than half of what you would have paid for conventional produce at the grocery store. And yum, are those early strawberries sweet! So how exactly do you get in on this deal? Over the last 20 years, CSA or Community Supported Agriculture has become an increasingly popular way for people to buy local, seasonal—often organic—food directly from a farmer at a great price. CSAs are popping up all over the country as the demand for local, farm-fresh food grows. These days, if you live within 100 miles of a farm, you probably live within 100 miles of a CSA! The basics are simple: In a CSA, a farmer offers “shares” of farm produce for sale to the public. Interested buyers purchase a share, becoming CSA members, and in return receive a box (bag, basket) of seasonal produce harvested each week throughout the growing season. This arrangement has many advantages for both the farmer and the buyer. An opportunity to get to visit the farm at least once a season and sometimes socialize with other members. CSAs aren’t confined to produce. Some farmers also offer members shares of eggs, jam, homemade bread, meat, cheese, flowers or other farm products along with vegetables and fruit. Sometimes, like Garden of Eden, several farmers will offer their products together, to offer the widest variety to their members. While the structure of a CSA is simple, there is an important concept woven into the CSA model that makes it a little different from the usual commercial transaction: the notion of shared risk. Shared risk is part of what creates a sense of community among members, and between members and the farmers. As a CSA shareholder, you have a stake in the success of the farm, so if a hailstorm takes out all the squash, everyone is disappointed together, and together you all rally for the tomatoes and peppers. Most CSA farmers feel a great sense of responsibility to their members, and when certain crops are scarce, they make sure the CSA gets served first. Still, very occasionally things go wrong on a farm—like they do in any kind of business. If this potential makes you feel anxious, then the shared risk of a CSA may not be for you, and you should shop at your farmers’ market. Local Harvest—a national non-profit connecting people with the small family farmers in their community—reports that they get complaint calls on between 2 and 9 CSA farms every year—out of several thousand nationwide. Usually the cause of the complaint comes down to a failure to deliver as promised because of a catastrophic divorce, major illness, extreme weather, or a new farmer that got in over his or her head. Sometimes, however, the CSA member simply did not do his or her due diligence and had unreasonable expectations. How long have you been doing a CSA? Are there items in your box grown by other farms, and if so, which farms? What percentage of the food you deliver annually is grown on your farm? If the answer is less than 100%, ask where the rest of the food comes from, whether it’s certified organic (if that is important to you), and whether members are told which items come from off-farm. I’d like to talk with a couple of your members before I commit. Could you give me contact info for a couple of “references”? Taking the time to vet your CSA farmer will help ensure a long-lasting and rewarding relationship between you, the farmer, your community and your food. Community Supported Agriculture is a simple idea, but its impact has been profound. Tens of thousands of families across the country have joined CSAs, and the numbers are growing exponentially every year. In some areas of the U.S., there is more demand for Community Supported Agriculture than there are farms to fill it! In the burgeoning market for whole, organic food, CSA offers an outstanding way for new farmers, small farmers and even homesteaders to provide a secure, diversified living for themselves on a small parcel of land. If CSA sounds like an ideal way to enjoy local, fresh produce to you, then Local Harvest has the most comprehensive directory of CSA farms in the United States, with over 4,000 farms listed in their database, so you can easily find and join a CSA in your community. I hope for the sake of your wallet, your health, your community, and the planet that you will! 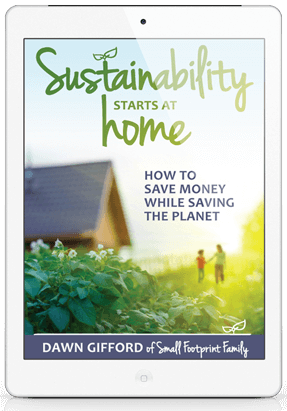 This article was excerpted from my book Sustainability Starts at Home – How to Save Money While Saving the Planet. 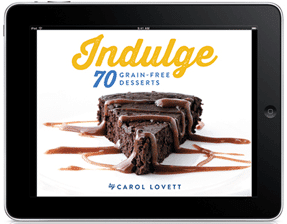 For more money-saving, planet-friendly tips, pick up a copy today! Farm for the Future – What is Permaculture? I just checked out all the CSAs in my area. Only one offered a half share. I believe that the farms could attract a number of older citizens if they all offered 1/2 shares or even 1/4 shares for seniors. oh i miss my CSA! it was entirely local, entirely organic and entirely delivered to our house every week! this year we’ve decided to for-go the CSA route as our new city doesn’t seem to offer everything we want. Instead, I’m gonna hit up the farmer’s markets. That being said, I miss getting a basket of fresh produce that forces me to be creative with my cooking. I learned so much during our CSA and got to do so many new things… I suppose I can do it at the farmer’s market too but it’s not as easy to select something that I’m not huge on ordinarily or something I don’t know when I have baskets of fresh berries and squash blossoms available haha..
All the reasons you mention for loving your CSA farmer ring true for me! And he has promised to pilot a winter share this year, so we too can follow your southern Californian footsteps and have local veg (nearly) year round. Can’t wait. It has been a long time since my family was part of a CSA, and I have been pondering looking into joining one again. These are some great reasons to get back into it. Great information about CSAs! I think it’s so important to support local agriculture, not to mention the added bonus of having fresh produce that tastes better and is healthier for you too! I’m featuring this tomorrow on my Eco Kids Features post tomorrow! I’d love to have you share your post on CSAs with us tomorrow at Eco-Kids Tuesday! http://likemamalikedaughter.blogspot.com/search/label/Eco-Kids%20Tuesday Hope to see you there! What a cool idea! And how wonderful you can get organic for less than the price of “regular”! I have always thought a CSA would be great for those who don’t have the opportunity to garden at home. I am not sure if we have anything in our area but then I have never really researched it either. We are very thankful that we are able to have a fairly large garden and supplement from pick your own farms around our area. 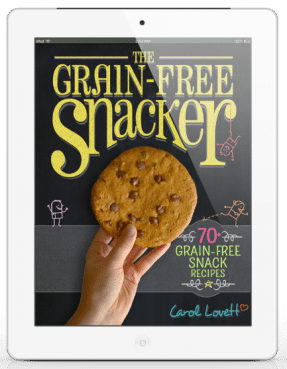 Thanks for linking up to our Healthy Tuesdays Blog Hop- you always have such great information, I love reading your posts! I’ve read a number of posts from people about the benefits and drawbacks of purchasing a CSA share. But your post is the first that has introduced the concept of shared risk into the picture. With what happened to the apple crop this year and the dry conditions hampering corn growth, it’s an important consideration. Thank you! We love our CSA, too!! Here are details on what we get from Kretschmann Farm near Pittsburgh, PA.
Great post! We joined a pork/poultry CSA this year! This is an excellent post with so much valuable information. We don’t have CSAs in England, but I have heard wonderful things about them from my friends in the US. It’s a great way to get healthy produce, support local farms and help the environment all at the same time. We do have ‘organic fruit and vegetable box schemes’ which are not quite the same, but they do help support smaller farmers and keep things as local as possible. Thanks! I’m glad something similar exists across the pond! It’s a win-win for everyone! We don’t have a CSA in our community but something very similar and love it. Thank you for writing this and encouraging others to get into the CSA movement and thanks for coming by and sharing it at Whole Food Wednesdays. So many benefits to participating with a CSA. Thanks so much for sharing your post at Rural Thursday. We do our own garden, but if we didn’t, I would definitely go the CSA route – they’re wonderful! Although I know we will never see strawberries in our Colorado CSA share, my family and I love, love, love our CSA! We’ve been hosts for ours for about five years, maybe going on six, now. I’ve learned to love mushrooms and kale and this summer my goal is to learn to love beets! We get ’em just about every week from June through December! We joined a CSA here in Colorado and loved it! Unfortunately we’re moving out of the country for the summer or we would be signed back up for one! Great post. And just so you don’t think you can’t do it because you don’t live in CA, I live in NE Ohio and we are part of a great CSA. There is even a winter CSA and we get some produce, but lots of great organic, locally raised meats, cheeses, dairy, canned goods, eggs, etc. I love it! We got fresh salad greens all winter long! Thanks for saying that! When we lived in Washington DC, we belonged to a great CSA there too. If you live within 100 miles of a farm, you most likely live within 100 miles of a CSA. Find a CSA near you at Local Harvest.org. I signed up for a CSA a few weeks ago and can’t wait for the first bag of goodies. Here in Ohio, we have to wait a little longer for fresh produce, but I’m excited to be a part of this “growing” trend! Thanks for encouraging us all to join in supporting our local farmers!